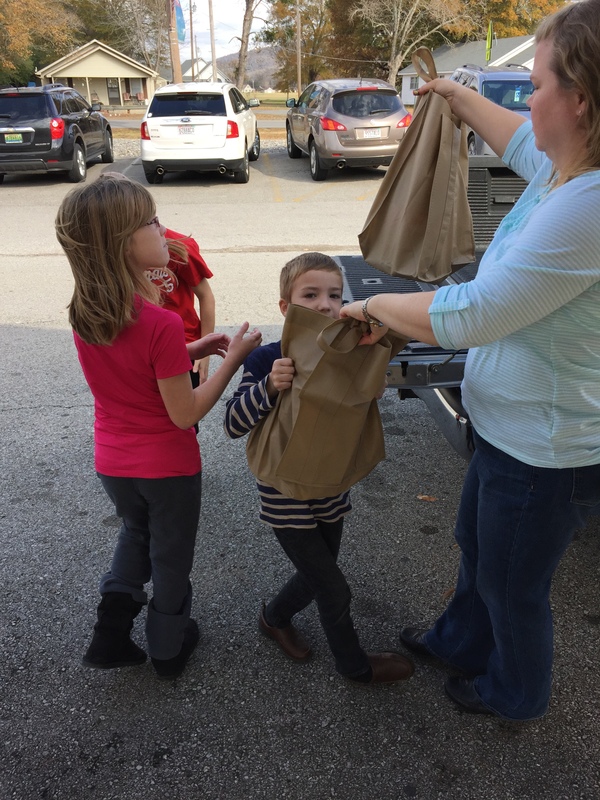 This morning our church family mobilized to distribute “Bags of Blessings” at several of our local schools. A few years ago, some of our leaders were shocked to learn of the great number of children in our community that do not have access to a good meal when school is not in session. For many of these children, the lunch they eat at school is the only meal they have all day. And when school doesn’t meet, finding enough to eat is a real challenge for these kids. We’re part of an ongoing food bank distribution that provides weekend meals for many of these children in a few schools. But every year at Thanksgiving, our entire church collects a Thanksgiving meal to share with these families. 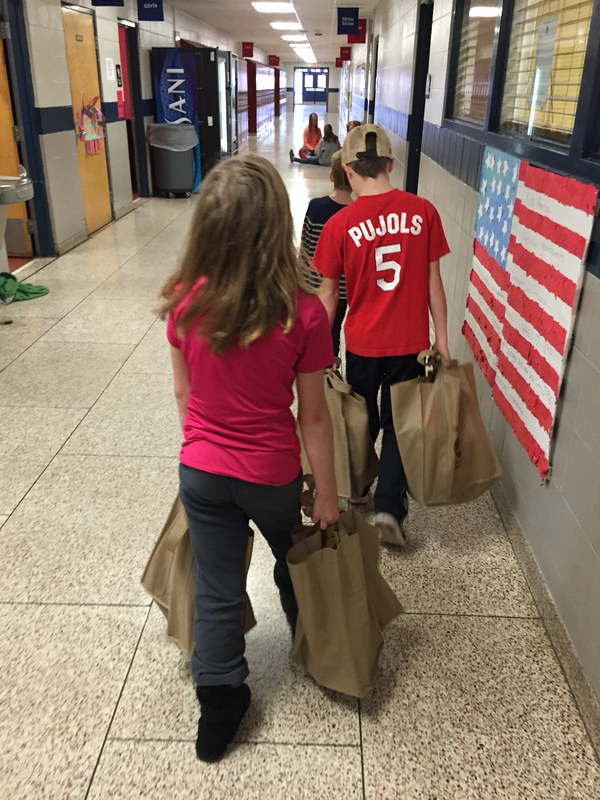 A few of us have the opportunity to deliver these “Bags of Blessings” to these children, leaving them at their school for them to take home at the Thanksgiving break. I love this for so many reasons. Mainly, it’s meeting people’s needs. One of our most basic needs is the need for food and sustenance. Distributing these bags helps meet this need in a huge way, at least for a moment in time. I also love this because it is an opportunity for our church to be formed into the image of Christ. I believe it brings honor to Him when His followers take up these kinds of tangible acts of love. This is the work He left to us: to love God and to love one another. This kind of work is an extension of both, in my mind. I also love this day because I’m a father of three young children. I thank God that they’ve never known hunger like some of the children in other places around the world. But today reminds me of how privileged we are even within our own community. Today is an opportunity for my children to become more aware of the needs in our own “back yard.” Our entire family assisted in the loading and delivery of these bags today. And this sort of service-minded formation is something that is not easily replicated. My son has been looking forward to this day for months because he knows it’s an opportunity to serve. My hope is that he’s cultivating a lifelong desire to serve others as an extension of his love for Jesus. This entry was posted in Blessings, Family, Kids, Kingdom Values and tagged Bags of Blessings. Bookmark the permalink.